The Best in Performance Engines! Engine Rebuilding at it's Best! If you have the need for speed, American Speed Enterprises is ready to provide you with an engine that answers the call. Notorious for our longevity, experience and customer service, we’ve been building racing engines for decades, as well as providing performance upgrades, custom engine machining and aftermarket parts. Responsible for some of the fastest, most powerful racing engines on the planet today, American Speed Enterprises has a storied history under the hood. Our shop is a collective gathering of automotive enthusiasts, adrenaline junkies, gearheads and engineers, putting their expertise to work on one single mission: building and modifying engines to push the limits of their capabilities. As a result, we’re a premier destination for everything from aftermarket performance modifications to racing engine rebuilding in Moline, IL. We specialize in Chevy performance engines and put our reputation on the line with every one we build. Our shop is all about customization and the unique appeal that comes with it. We give every project our fullest attention and, using state-of-the-art equipment, deliver a full range of upgrades and modifications based on benchmarked performance expectations. Not only can we swap in proven aftermarket parts and tune for performance, we can also provide machining, alongside complete tear-down and engine rebuilding service in Moline, IL. The result is always going to be peak performance and seamless operation from an engine that’s unlike any other. Every time you put the pedal down, you’ll see why we’re known around the world for the engines we build. We’re a National Hot Rod Association (NHRA) record-holding company that specializes in high performance Chevy engines. 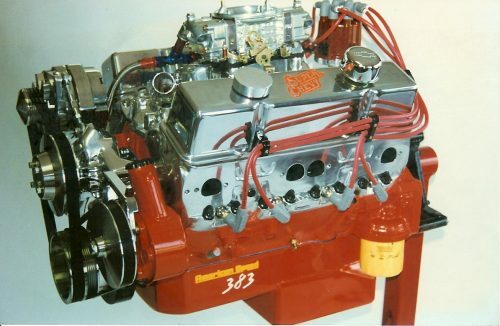 We’ve been building performance engines since 1973 and bring decades of experience to your customization or build. Our capabilities include any and all engine machining, as well as performance upgrade and building racing engines from the ground up. We’re affiliated with Ultima Sports in the United Kingdom and have built motors for their performance vehicles. Our inventory of performance and racing parts is expansive, and we only use proven brand name products to guarantee results. Whether you’re modifying an engine for better performance or are looking for a custom racing engine built from scratch, American Speed Enterprises is ready to help. Consult with us today.